I had seen this floating around on a few blogs and loved the concept and I have to say; it is darn awesome. 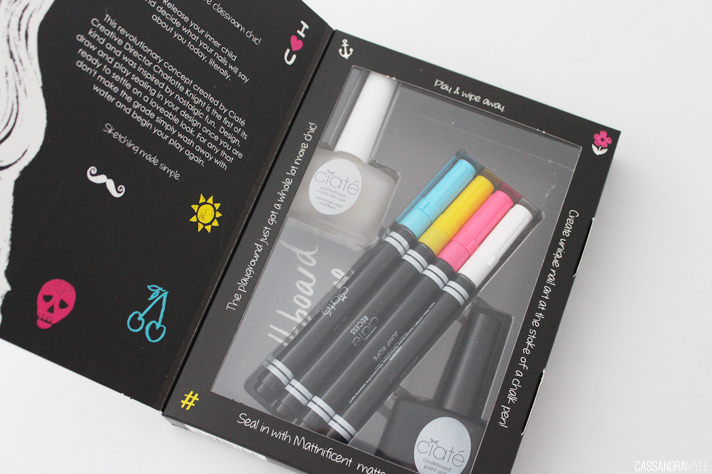 The set comes with a matte black polish or 'chalkboard paint' as they dub it, which you can then use the pens to doodle and draw on your nails with. You can rub it off with water apparently (haven't tried that out yet) if you mess up and then you seal in your design using the matte top coat. 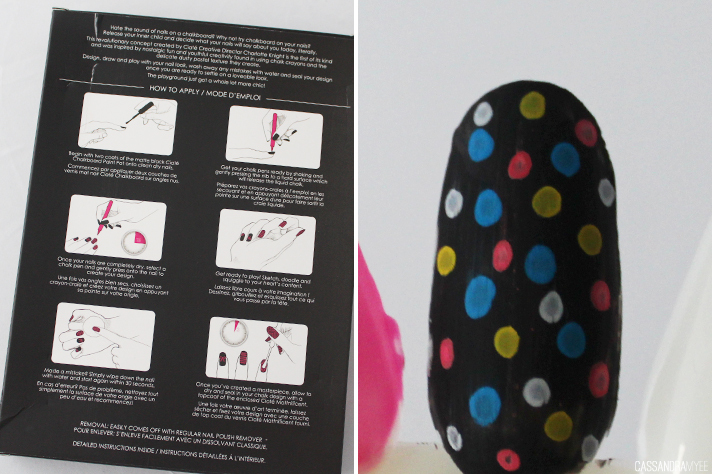 I only had a quick play around with it on one of my nail wheels and I can't wait to try it out on all of the nails! Looking back, now I wish had got a couple more of the single bottles. This had a black base and is packed with multi-coloured green, yellow and orange glitters. 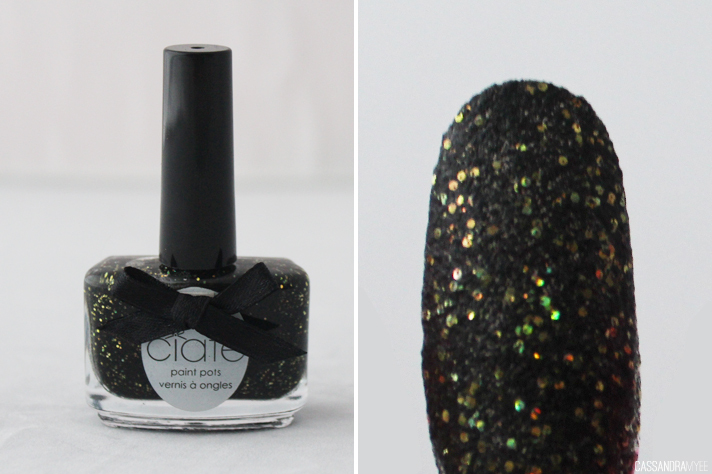 It dries down to quite a textured finish, very similar to the liquid sands from OPI. 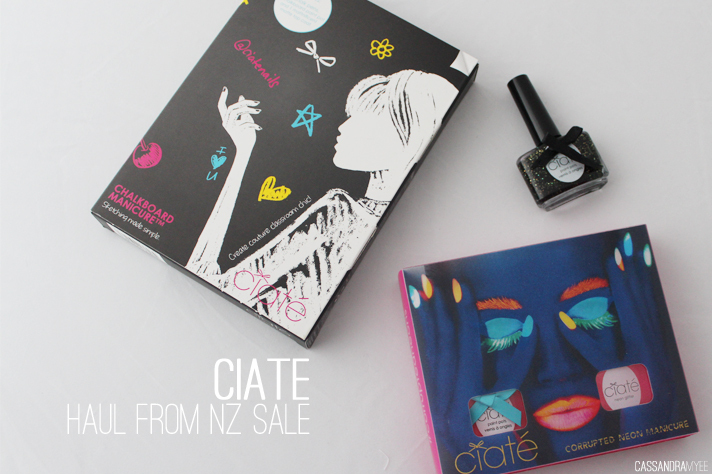 Have you used any of these kits, or tried other Ciaté polishes? *Affiliate link - if you sign up from this and make a purchase I receive a $20 voucher.